Please note Social Sails will resume in mid-May 2019. Explore sailing with no experience necessary! Get to know your fellow sailors while enjoying a relaxing evening on the water. Our Social Sails are intended to be "Open House" events for prospective members of DC Sail. Social Sails are a wonderful opportunity to learn more about DC Sail while exploring the sport of sailing. How Social Sails are Managed: Guests and members arrive between 5:30 PM and 6:00 PM for check in and boat assignments. Guests will be allocated to boats with experienced sailors prior to leaving the docks. The first "wave" of boats depart and waiting guests/members will be assigned to boats as they become available. Typical wait time is about an hour though we offer a very pleasant seating area under our pavilion. Due to the popularity of this event, the time on the water will be about an hour, depending on the number of attendees. We will do our best to ensure that you get as much time as possible on the water. When: Wednesday evenings mid-May to mid-September, starting around 5:30-6:00 PM until sunset around 8:00 PM. DC Sail Members: No cost for current (paid) DC Sail members at the Admiral, Basic, Instructor, Lifetime and Super levels. Guests/Non-Members: $20 per person, including children. Payment can be issued with a credit/debit card via the link below in the red box for the event or in cash at the dock entrance at check in with the Dock Manager. Lifejackets, Footwear & What to Bring: We require all participants to wear a USCG approved lifejacket. We have a full inventory of lifejackets that you're welcome to use or bring your own. For your safety, please wear closed-toe shoes - no sandals or flip flops, please. Dress for the weather. We do sail in very light rain. Bring along a refillable water bottle and sunscreen. Weather & Cancellation: Please monitor the weather prior to coming to the docks. We will close dock operations in the event of thunderstorms in the area within 15 miles, high winds or no wind situations, and in extreme heat. While we typically post a notice of cancellation on our home page, Facebook, and Twitter accounts about an hour prior to the 5:30 PM start time, there are occasions where the weather causes a last minute cancellation of the event as well as cancellation in the event that dangerous weather moves through the area even after the start time. Paid registrations will be fully refunded in the event of cancellation. 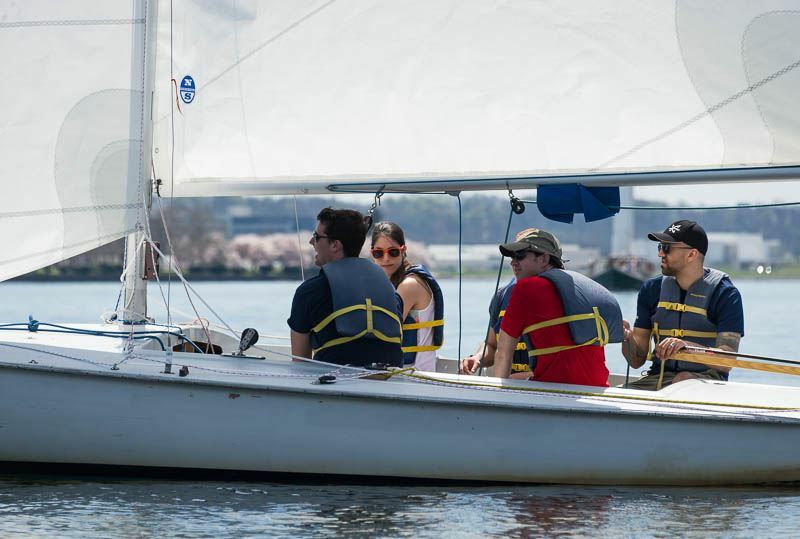 Membership: Interested in becoming a DC Sail Member? A Basic Membership ($225) will give you free access to Social Sails and Member Sails for 12 months. Please refer to our Membership page for more information. Please contact Traci Mead with any questions you may have.